Who doesn’t love free music? The chiptune and demo scene that accompanied the rise of the home computer in the 80s and 90s spawned a vibrant community of bedroom producers and what essentially become a new genre of modern music. Thanks to the wonders of hardware emulation, we can now enjoy original chiptune on just about any modern device. Through archiving, the lively demo scene has sought to protect hundreds of thousands of creations, and it’s all available to freely download and enjoy. So what better way to enjoy it than on your iPhone or Android phone? 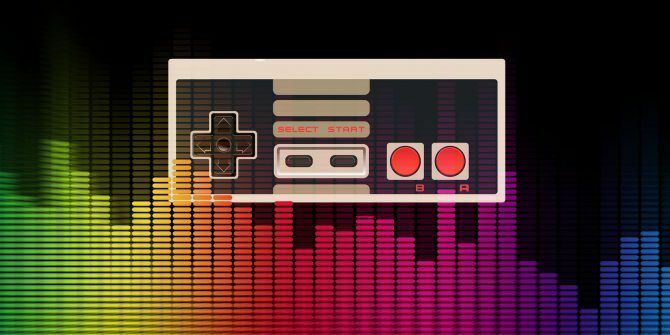 What Makes Chiptune so Special? Early computers used synthesis chips to generate audio, which programmers could take advantage of through the use of trackers. The result were small files ideal for the limited storage mediums of the time: cassettes, cartridges, and disks. Like MIDI, trackers use a set of instructions to produce sound and music. Musicians can customize their “instruments” with various waveforms, define notes, apply effects, create arpeggios, and more in order to create original music using the hardware of their choice. Some of the most famous platforms include the Amiga with its famed ProTracker software, and the Commodore 64 with its SID audio chip. These days we don’t need the original hardware to enjoy chiptune—just the files and use of a player that emulates the synthesis chips. Chiptune is ideal for mobile play since the files are tiny. 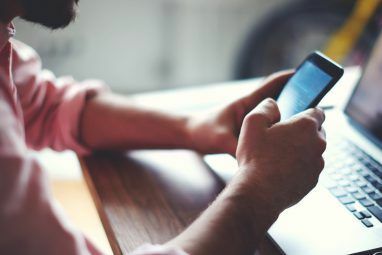 You can store thousands on your device and download an endless supply of them even if you’re away from a Wi-Fi network. They won’t sound exactly like the original hardware, but they’re close enough. Both iOS and Android make it easy to download and open these files in your desired player. 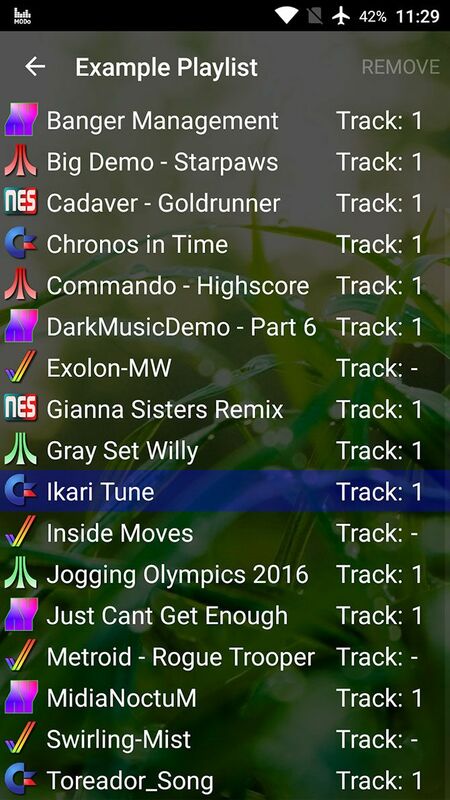 Some players even include app integration with the biggest archives of chiptune on the web. Modizer is the best $2 I’ve spent on my iPhone this year. It’s a highly capable multi-format MOD player for iOS, with support for over 600 formats including Amiga, Atari ST/Amstrad CPC, Commodore 64, SNES, Game Boy, Nintendo 64, and even Dreamcast and arcade files. By far my favorite feature is direct integration with the vast Modland, ASMA, and HVSC databases. You can search or browse the archives and play songs almost immediately, saving them to your library with a tap. There’s also support for other databases through the built-in browser, though these aren’t quite as pleasant to use. In addition to a wide variety of formats, Modizer includes an old-school visualizer with a variety of effects. It only works on the Now Playing screen, but it’s a lot of fun. You can stack multiple effects on top of another, or hit the power button on your iPhone to listen in the background. Other features include local FTP support, wireless audio via AirPlay, the ability to create your own playlists and rate tracks, customizable playback engines and plugins, and online world chiptune charts. 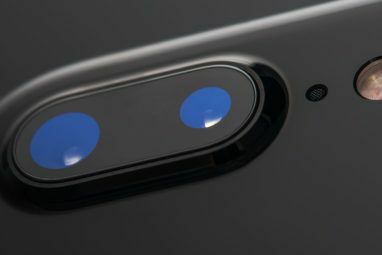 It’s still updated and current as of mid-2018, and requires a device running iOS 8.0 or later. 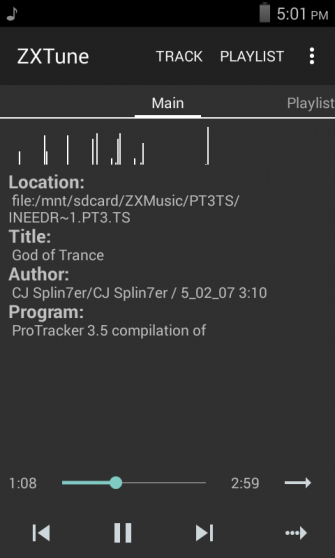 ZXTune is a lot like Modizer for iOS, except it’s completely free to download. Like Modizer, the app supports a huge range of formats including ZX Specture, PC modules, Amiga, Atari, Commodore 64, SNES, Game Boy, TurboGrafx-16, and more recent consoles like the PlayStation 1/2 and Dreamcast, among others. The app integrates with no fewer than eight music catalogs: ZX Tunes, Modland, HVSC, ZX Art, Amiga Music Preservation, Josh W Catalog, AY Great Original Resource, and the mighty MOD Archive. 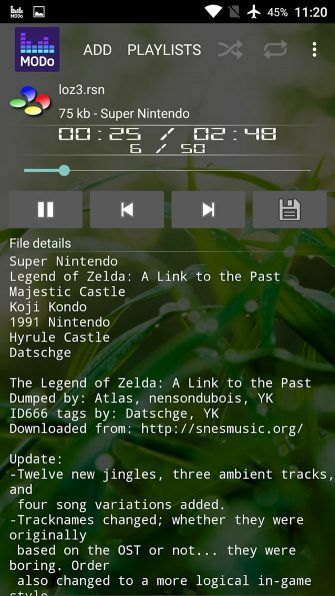 With these resources you can effortlessly play and add chiptune in a variety of formats to your device, wherever you are. You can search these archives, create your own playlists, and use the home screen widget to control the app. 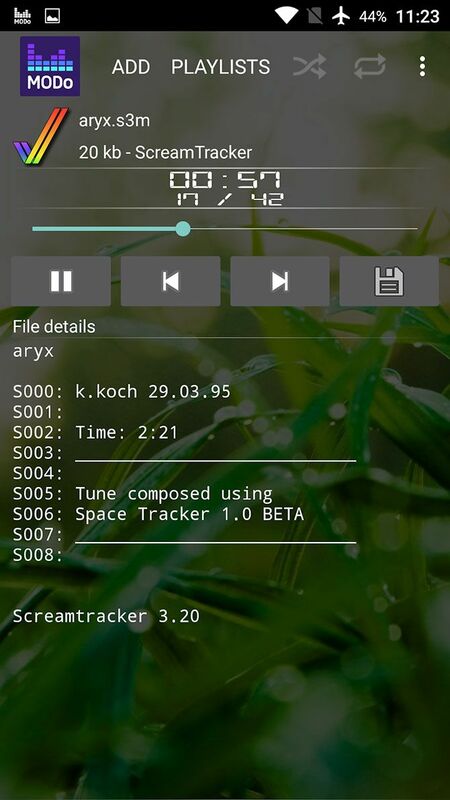 There’s no visualizer, but it is possible to set chiptune tracks as your ringtone. 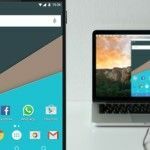 The app is optimized for a variety of Android resolutions, including tablets. 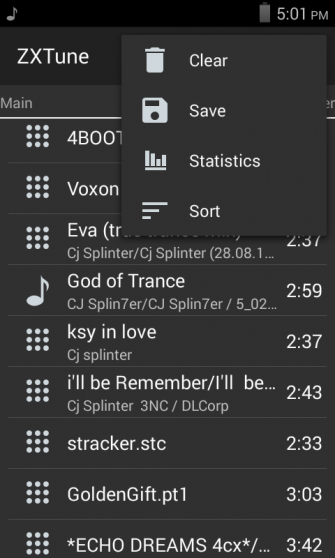 The app still receives updates as of mid-2018, and you’ll need Android 4.0.3 or better in order to run ZXTune. GaMBi is a specialized chiptune app for iOS. It’s a chiptune player with support for eight formats, including Game Boy, NES, SNES, Sega Genesis, and Commodore 64. While this might sound poor compared to the likes of Modizer above, GaMBi isn’t just a player. It’s also a remix engine! The app allows you to tweak tracks by toggling various channels (e.g. drums, lead melodies, bass), adjust instrument parameters, sample your work, and further change the sound with the built-in equalizer. You can export your creations to iTunes when you’re done. There’s no integration with online catalogs, so you’ll need to use the Open in option in Safari or iTunes File Sharing to get music into GaMBi. To make up for this, GaMBi includes a few tracks to get you started, including classics like Cybernoid by Jeroen Tel. Two of the biggest features are AudioCopy and Audiobus support. Audiocopy allows you to copy a rendered (audio) version of the current track to the clipboard, so you can paste it into other AudioCopy-compatible apps. Audiobus support allows you to route the audio directly into another app, like an effect processor or audio workstation. The price is a bit steep, but there’s nothing else quite like it on the App Store. It’s also great for smartphone DJing, if you’re into that! If you’ve got an Android device that can’t run ZXTune, you might want to give Modo a look. It’s nowhere near as accomplished as the former, but it only requires Android 2.2 or later. There’s decent support for a number of formats, including Commodore 64, Atari, Amstrad CPC, TurboGrafx-16, Game Boy and SNES, Master System, and various tracker modules (including ScreamTracker, ProTracker and others). It’s not quite on the same level as ZXTunes though. The app also lacks integration with online catalogs, so you’ll need to provide your own collection of module files (and make sure they’re compatible too). Fortunately there’s support for ZIP archive browsing, and a few nice playback features like silence detection and a sleep timer too. Web players might not be ideal for use on your smartphone, but the few I’ve tested on an iPhone X worked pretty well overall. There’s some unexpected behavior with progress bars not updating correctly, but the music played fine even when exiting Safari. 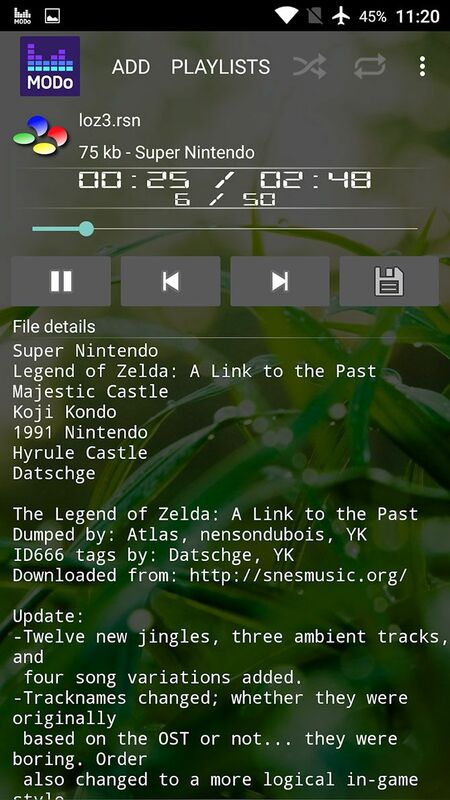 An elegant web player with a fantastic interface, muki is like a jukebox full of chiptune classics. You can’t actually load your own chiptune files into it; instead you specify a playlist, platform, genre, or mood and let muki take over from there. 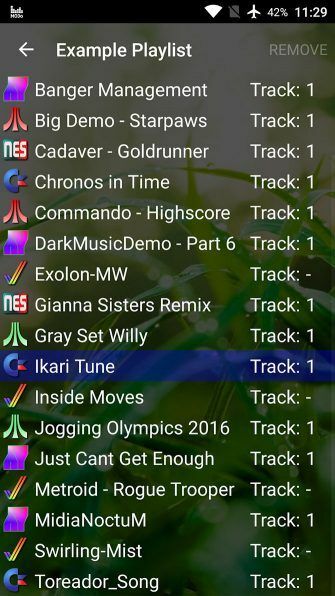 The web app then raids the archives of freely available chiptune tracks to match up the music to your preferences. It worked wonderfully on iOS, and even includes a few snazzy visualizations to boot. You can vote for songs that float your boat while you listen, and contribute to the weekly charts while you’re at it. If you’d like to try this radio format for more video game music, check out the best video game music radio sites. DeepSID is a web-based Commodore 64 chiptune player, with full access to the HVSC catalog of music. 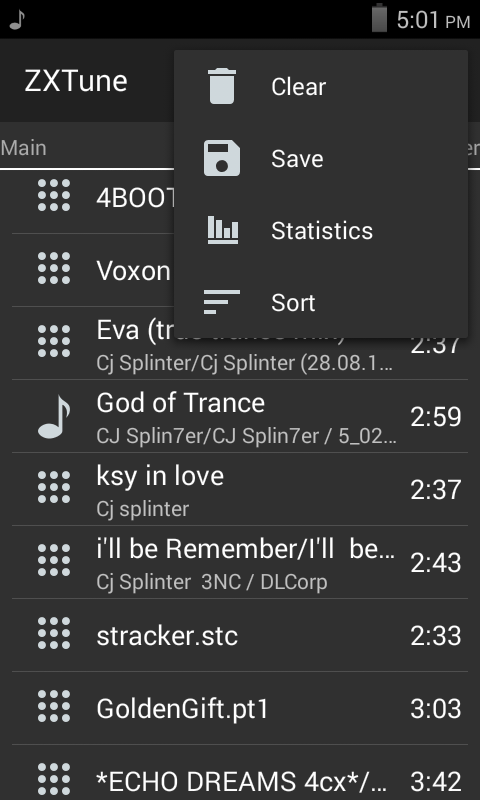 The app is surprisingly stable, with a great library of tracks to pick from and built-in playlist support. Chat and view information from the Commodore 64 Scene Database depending on what track you’re listening to. You can also choose from a number of Commodore 64 emulators for playback—try building your own mini C64 if you’re a big fan of the system. With the vast number of module files that have been ripped from games and arcade machines, as well as original creations from musicians all over the world, it’s possible to amass hundreds of tracks in no time thanks to fast modern internet connections. For more retro music goodness, check out musical genres all gamers will love 7 Music Genres All Gamers Should Love 7 Music Genres All Gamers Should Love Are you looking for new music and stuck for ideas? Ever thought of video game music? Here are seven genres you should recognize from your favorite games. Read More , and the best video game soundtracks for studying. Explore more about: Android Apps, Chiptune, iOS Apps, Music Discovery.